"Wunderlist is the easiest way to get stuff done. Whether you’re planning a holiday, sharing a shopping list with a partner or managing multiple work projects." 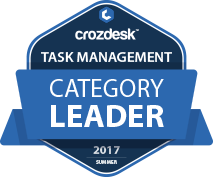 Wunderlist scored 89/100 in the Task Management category. This is based on user satisfaction (86/100), press buzz (57/100), recent user trends (rising), and other relevant information on Wunderlist gathered from around the web. 4.3/5 based on 632 user ratings. What do you like about Wunderlist? Wunderlist is the to-do list app I use every day to manage my daily tasks. I favor that the interface keeps a person focussed on the task at hand. I can easily create to-do lists and tasks then have a sub To do list. I tried really hard to use Microsoft's Todo application but still, Wunderlist is much better than that. What do you dislike about Wunderlist? There were no updates in recent days and I'm worried acquired Wunderlist almost three years ago and sometimes they will stop the service. Also, Wunderlist should improve the natural language options. What have you been using it for and what problems did Wunderlist solve? Wunderlist is free so it helps us to share tasks with our team members easily. There are no worries about payment options because Wunderlist gives most of the features for absolutely free.